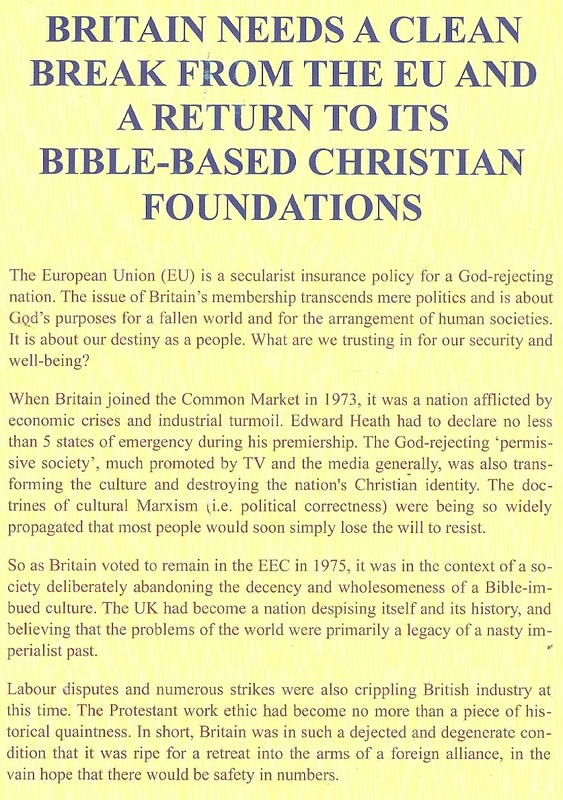 A leaflet from Penn Free Methodist Church arguing that “Britain Needs A Clean Break From The EU And To Return To Its Bible-Based Christian Foundations”. 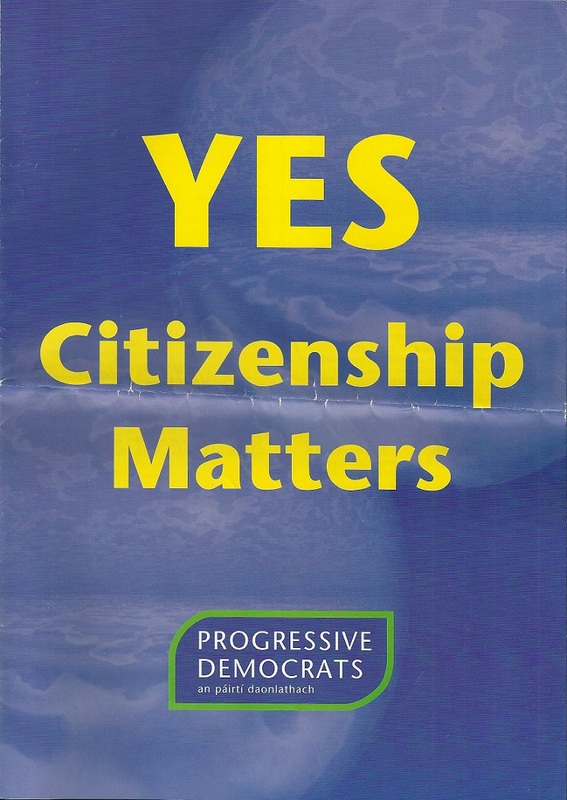 From the 2004 Citizenship Referendum a leaflet from The Progressive Democrats urging a Yes vote in the Referendum. 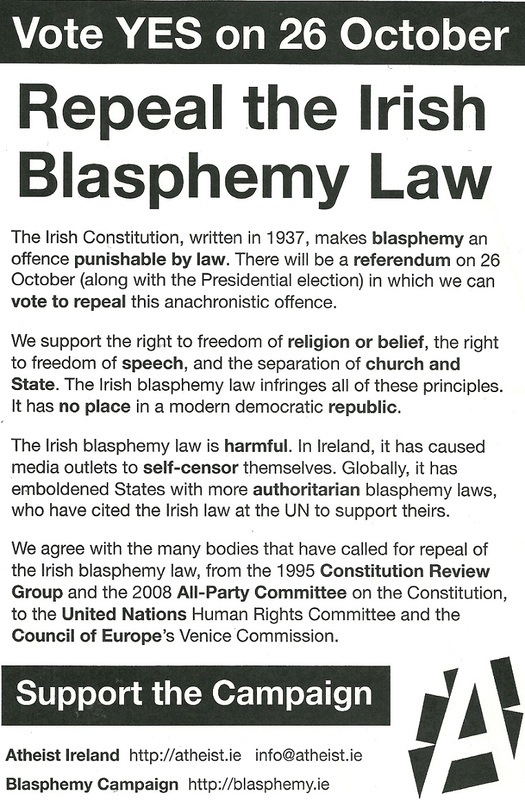 A leaflet from Atheist Ireland urging a Yes vote in the Blasphemy Referendum. 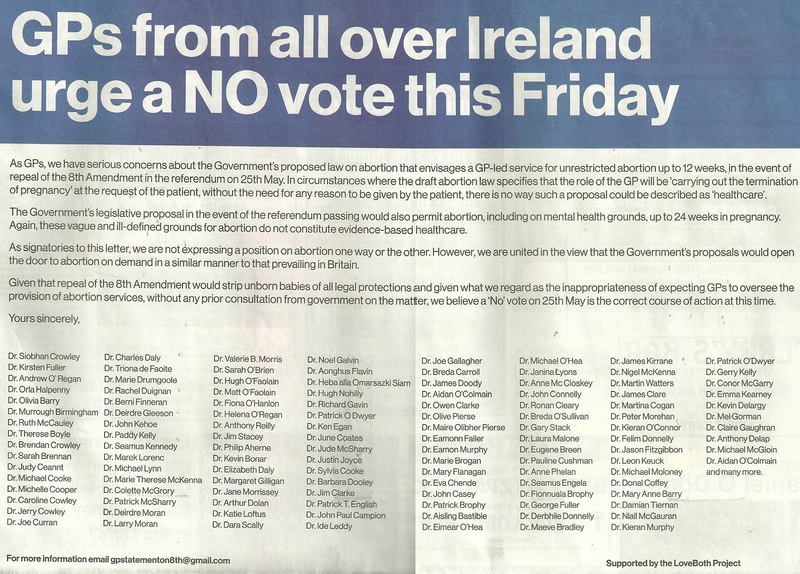 An Ad from GPs urging a NO vote in the 2018 Abortion Referendum. The ad lists reasons to vote NO as well as having a list of GP’s who were opposed to Repealing the 8th amendment. 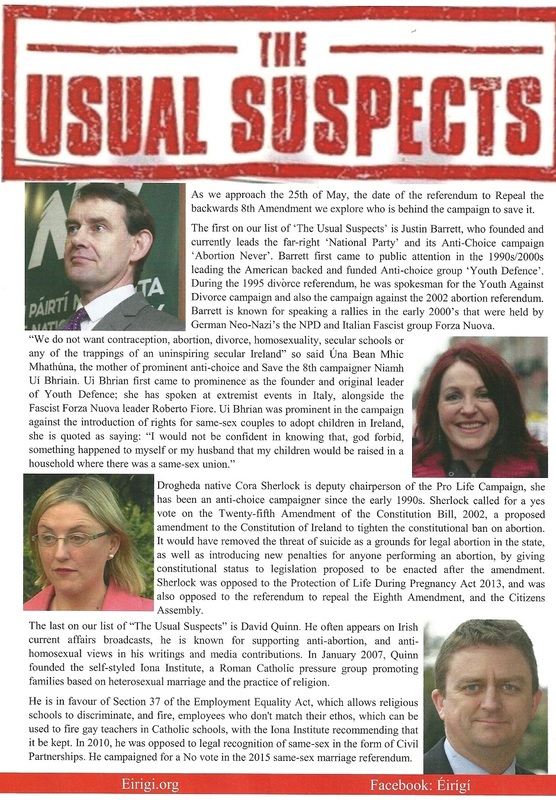 “The Usual Suspects” a leaflet from Éirígí profiling some of those that oppose repeal of the 8th Amendment. 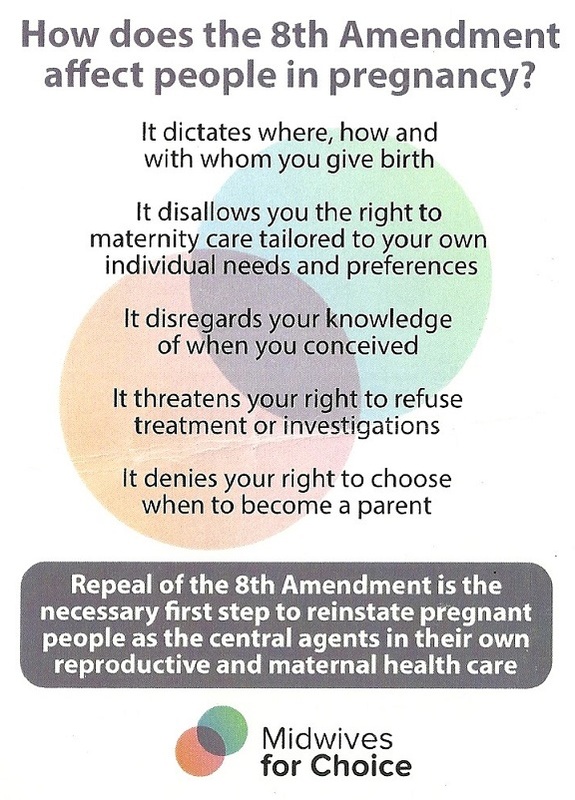 A leaflet from Midwives for Choice urging a Yes vote in the Referendum to Repeal The Eight Amendment. 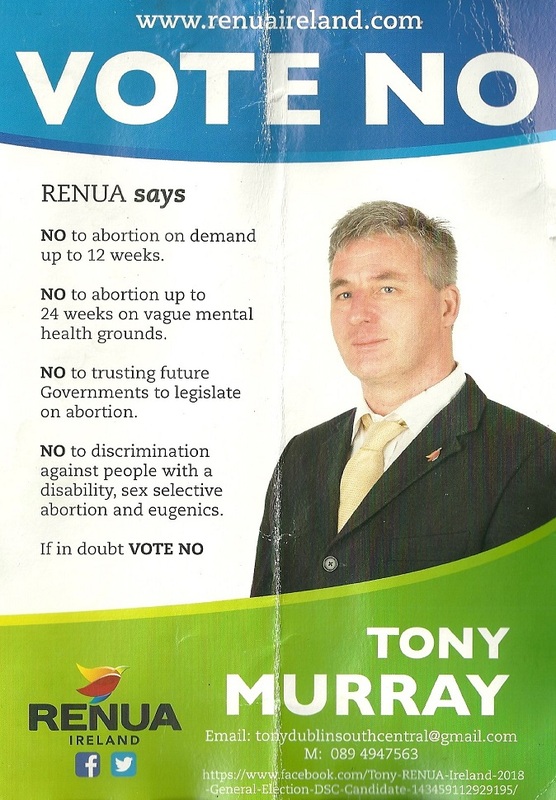 A Leaflet from Tony Murray of Renua Ireland calling for a No Vote in the Referendum to Repeal the 8th Amendment. He is due to be their candidate in Dublin South Central.